GE Law Sevices has expertise in the areas of alternative dispute resolution, business and corporate law, criminal law, estate administration and litigation, family law, property and conveyancing, property and commercial divisions, and workplace relations and employment law. More information about the services we offer is found below. ADR refers to any alternative to a formal Court or Tribunal hearing where people are encouraged to try to resolve their legal differences. Most ADR are held “off the record” or “without prejudice”, which means that the persons involved cannot repeat in Court at a later time anything that was discussed during an ADR session. This helps people to settle, if they can. What can GE Law Services do for you? Our team can give you more information about ADR. We can advise you about the best ADR option for your case, whether or not you have already become embroiled in litigation. ADR often works best before litigation. We can help you to prepare your evidence and arguments. We can represent you at Court or Tribunal or venue. For more information, please contact Pippa Sampson or Adriane Whiticker. Our team aims to provide practical but thoughtful advice, to corporate and businesses, you can rely on to be available when you need it. We aim to develop a close working relationship with our corporate and business clients to offer a comprehensive service in all aspects of business. Our role is to listen and develop an understanding of your needs. In today’s environment, the pace of change in business is reflected in the needs of our clients. We have the access to services and a common understanding of business and how our clients operate. For more information, please contact Pippa Sampson. Have the Police charged you? Our team represents clients in all Courts in a broad range of cases. No matter what the charges are, we understand that it is important for you to get the best possible advice before the Court date, because any Police prosecution can adversely affect your future. Our lawyers regularly appear in Court. For a no-obligation consultation please contact Pippa Sampson or Adriane Whiticker. Administering an Estate can be a stressful experience, particularly during a time of grief. We aim to take the stress out of the process. Beneficiary interests and infant interests. Our Principal, Pippa Sampson, also acts as an Executor in complex Estates, and has extensive experience in the area of Estate Administration. Where a person has been excluded from a Will. For more information please contact Pippa Sampson or Adriane Whiticker. At GE Law Services our lawyers and staff recognise that going through a separation and negotiating the complex legal situations which can arise as a result, can be one of the most personally difficult and challenging times in one’s life. Whether our clients require assistance with a divorce, or a complicated financial settlement, we aim to assist them resolve outstanding disputes and achieve outcomes individually tailored to meet their specific needs. All too often a separation results in a legal problem which involves, not only family law issues, but allied legal problems where disputes arise in companies and partnerships as a result of the separation, or trust or deceased estate issues arise. We assist our clients through the complicated intersections of such disputes. For more information, please contact Angela McPhee or Adriane Whiticker. Our property team offers a comprehensive service in both private and commercial property transactions. We recognise that property transactions require quick, efficient and smooth service, careful negotiation and precise preparation of paperwork and clear communication with you, the client. Our property group offers a broad range of experience in leasing, both retail and commercial, as well as compliance with the complex array of taxes, GST and stamp duties affecting all transactions in this area. Planning Agreements under Section 173. For more information please contact Gabriella Habib or Adriane Whiticker. GE Law Services has expertise in all areas of property law. We assist individuals and families with selling and buying homes. We also advise landlords, tenants, real estate agents, developers, private and corporate entities in relation to complex commercial and industrial property matters and advice on self-managed super funds and trusts. With over 30 years of experience in property and commercial transactions, our team provides comprehensive and constructive advice on property, commercial and litigation matters. 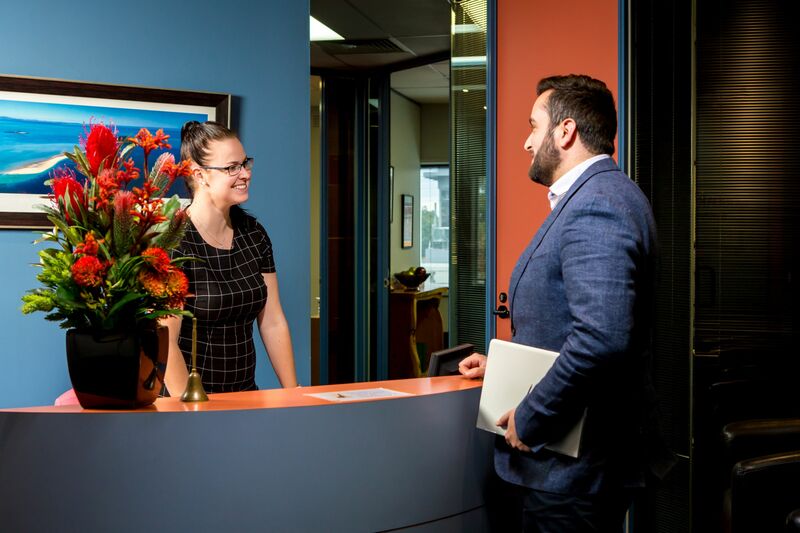 Our staff work closely with our clients to achieve the desired outcomes and provide comprehensive and commercial advice to clients in a timely manner. Our team (consisting of experienced practitioners, clerks and assistants) has an intimate knowledge of the local area and servicing the local community. We are in touch with the needs and concerns of our clients, and provide excellent service and positive outcomes where possible. For more information please contact Pippa Sampson. Our team can offer a complete range of legal services to individuals and businesses of all sizes. We can provide solutions to the ever increasing number of modern workplace & employment issues, in all industries including manufacturing, retail and small business. Our lawyers have broad experience in helping local businesses & individuals. We combine local knowledge with an understanding of the modern workplace. For more information on how we can help you, please contact Pippa Sampson. Information as to progress of their matter and changes to the law generally.